Can you believe last year at this time I was standing along with my son with a bunch of kids from school at the 95th Anniversary of Vimy Ridge Memorial in Paris, France but this day also brings back alot of sad memories too, 5 years ago today I lost my beloved husband to Cancer. 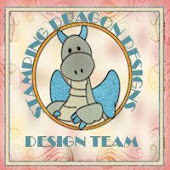 Okay so I'm back with another card for Loves Rubberstamps Card Challenge and this week's theme is a 3D Dimensional Image. This will be where you pop up some part/or parts of your main image which is this adorable monkey by All That Scraps!! 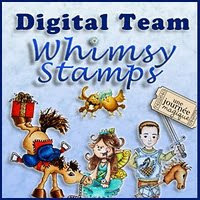 This is a digital image by All That Scraps but they do carry rubber stamps as well. I printed this image out 4 times so that I could pop up each part of the Monkey. I colored one Monkey entirely using Prismacolor pencils and then colored just the parts of the Monkey I wanted to use. I started off using Early Espresso paper as my base which is a 5"x 7" finished card size. 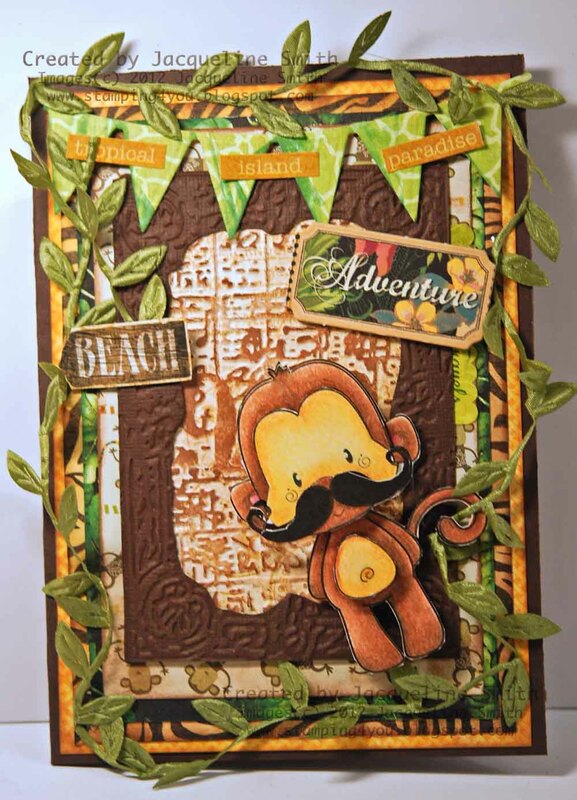 I then used Graphic 45 collection called 'Tropical Travelogue' for the rest. I added 3 layers before added another paper that had Monkeys over the entire page that I found in my stash. 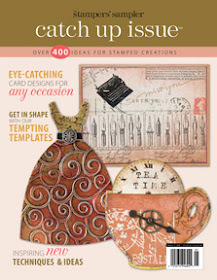 I then took another piece of Early Espresso paper and ran it thru an embossing folder by Tim Holtz called 'Book Covers'. 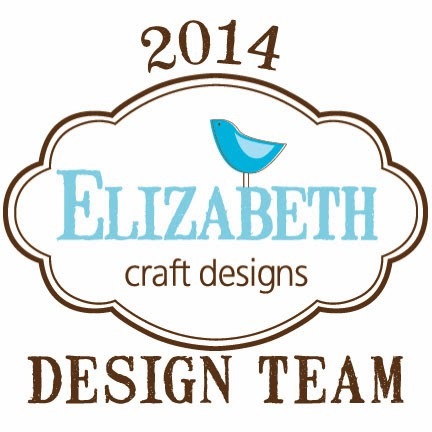 I place this over another piece of paper, again running it thru another Tim Holtz embossing folder called 'Collage'. 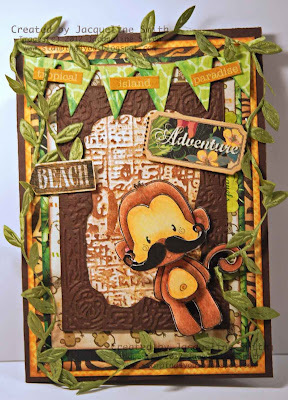 I then took some green leaf ribbon by May Arts and draped it all around the card so that it looked like vines in the jungle and placed the monkey so that he looked like he was hanging from a vine. I cut out the banner using another piece of green paper from the same collection using a Spellbinders die made exclusive to JustRite called Buntings & Buttons. 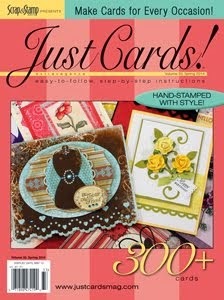 You can find some of the dies that Laura carries in her store here: http://www.lovesrubberstamps.net/category_360/JustRite-Custom-Dies.htm I added some stickers on the banner along with a chipboard piece as shown from the same collection. 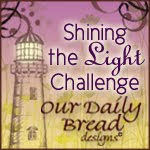 Just upload a creation that you pop up some part/or parts of your main image which follows this week's challenge to your online blog or gallery. 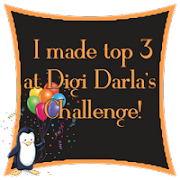 Then leave a link to your project in the linky widget at the bottom of this post. If you upload to online galleries, please also use the tag or keyword LRSBC47. 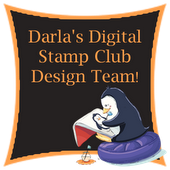 Our challenge is open to everyone, you can use any stamps and products that you would like, and you can enter as many times as you want. The linky entry widget will close at 9PM CST on Monday, April 15th so all entries need to be in before then. We also have a 2 special GUEST SPONSORs this week! What an awesome little jungle card. Looks great. Your card is amazing! I love it...very nice work & TFS!!! OH I love this wild forest feeling card, the leaves and textures are fabulous. OMG! I love the jungle scene you have created, looks so real. Fabulous coloring! I love how he is offset! Awesome card! This is so cute Jackie! The colors, your layers and textures blow me away! Lots of hugs to you! Those anniversary days are tough, no matter how much time has passed since you lost a loved one. I will be thinking of you! Whimsy Stamp Card Challenge - #58 Pretty in Pink!